EA has annouced the release date of Dead Space 3, and has provided insight on its new weapon crafting system. 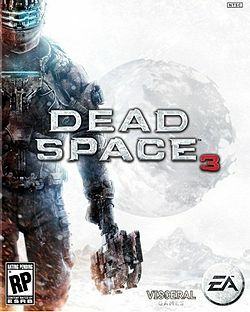 Today EA announced that Dead Space 3 will be released for the PC, Xbox 360, and PlayStation 3 in the US on February 5th. Europe will have to wait a few extra days, with the expected released coming on February 8th. EA's press conference also expanded on details that have emerged around Dead Space's much-requested feature, weapon crafting. Players will be able to scavenge the game for various materials and assemble various weapon combinations at work benches. A plasma gun with a grenade launcher? Why not. How about a chain gun with a shotgun-esque under-barrel? Yes, please. Visceral also revealed a contest on www.deadspace.com, in which gamers can submit their own unique weapons and combinations. The winner will have their weapon featured in the game, as well as have a character based off of them in the game. Not bad for a few clicks, eh? First Bundle - Contains, according to the press conference, "it sports a flamboyant golden finish to provide protection from long-term space exposure and thick armour for… unspecified reasons." It was also stated to contain a "negotiator" weapon, described as "capable of bursting a man-sized organism into several pieces with a single shot." Witness the Truth - This bundle features another suit, called the "Witness suit", and the Evangeliser Weapon. The Evangeliser was described as... "sports a souped-up AL-2g assault rifle on the top with an Emerson 2100 "Big Boy" tactical shotgun on the bottom." At this point, we're pretty excited. Pre-orders are available through Amazon.